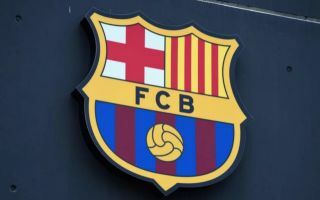 Barcelona have seen two key individuals leave the Nou Camp so far this summer, but reports claim they could be closing in on a double signing of their own. As noted by Sky Sports, club icon Andres Iniesta left at the end of last season to join Vissel Kobe, while Paulinho re-joined Guangzhou Evergrande on loan, as per The Guardian. The Catalan giants have now addressed that double setback in midfield which leaves them light in that department by confirming the arrival of Arthur in a €40m move, as per BBC Sport, but it appears as though Ernesto Valverde will potentially be welcoming more new faces to the Nou Camp this summer. According to Goal.com, Barcelona are on the verge of wrapping up a €35m deal to sign Sevilla defender Clement Lenglet, with that fee representing his release clause, as the report suggested that the deal was potentially set to be concluded on Wednesday. Although that didn’t happen, given the lack of quality and depth beyond first-choice centre-half pairing Gerard Pique and Samuel Umtiti, with the inexperienced Yerry Mina and veteran Thomas Vermaelen acting as back-up, this is arguably a sensible addition to the Barcelona squad and it’s been tipped to be completed imminently. Lenglet impressed for Sevilla last season both domestically and in Europe, and it appears as though the 23-year-old may well be set to become Barcelona’s second summer signing to bolster their backline and help them build on their domestic double last year. Meanwhile, Mundo Deportivo report that Barca officials Pep Segura and Eric Abidal travelled to France on Tuesday to hold talks with Paris Saint-Germain over the potential signing of Adrien Rabiot. As noted above, the midfield could represent an issue for the Blaugrana next season after key losses, but Arthur coupled with the possible arrival of Rabiot would perhaps address that. The Frenchman does possess the technical quality and passing range to fit into the club’s style of play, but there is no suggestion that a deal is close and so it remains to be seen if a transfer materialises.